Can I travel to the United States with a Conditional Discharge? Regardless of the type, the Criminal Code of Canada confirms that there has been a finding or admission of guilt. The United States treats a discharge the same as a conviction or any admission of guilt (ie. you admit to having committed offence even if not convicted). One-Offence Exemption Rule: If you have only one offence (ie. Discharge, Conviction or any admission of guilty) for a CIMT and it was tried summarily then you will be exempt from in admissibility (meaning you won’t need a waiver). Anything drug-related and crimes of violence (where element of intent to harm exists or it was in relation to sexual assault) would normally make you inadmissible to the United States if you were an adult. Youth offences: Youth offences would only make you inadmissible if you were under the age of 18 at the time you committed the offence, you were tried as an adult and the discharge or conviction was in relation to felony violence or felony drugs. DISCLAIMER: The description of inadmissibility is general in nature and may not apply to you. For example, there have been situations where you may be able to overcome your inadmissibility even for an offence that is normally excludable (ie. you may cause harm with a weapon but that weapon could not possibly cause serious injury or harm–then an exception might be given to you). Laws may also change. 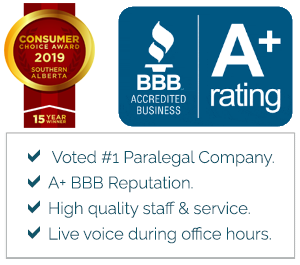 For details about your specific situation, please call for a free consultation. Must I Disclose a Conditional Discharge to U.S. Authorities? QUESTION: If my discharge has already been purged, can the United States access it and do I have to disclose it to the United States? ANSWER: The answer is “no”, they can not access it after it was purged (unless they accessed it prior to purging and they now have their own file). However, we can not counsel misreprentation. The U.S. authorities expect you to disclose to them any offence you may have committed or have been found guilty of. (unless they become a U.S. citizen). Note: if you have an excludable offence, it is unlikely the U.S. will grant a Waiver until it has been at least 5 years since the offence occurred; unless you have compelling reasons for going to the U.S., your record is not lengthy/serious, and there is sufficient proof of rehabilitation Note: waivers can take around 8 to 18 months to be granted. If there are no compelling reasons for going, but you want a waiver at the earliest opportunity, we recommend you contact us approximately one year in advance of the general 5-year period or at the 4-year mark. What is a Conditional Discharge or Absolute Dishcarge? Return to Top of Blog: Can I travel to the U.S. with a Conditional Discharge? Hi Debbie, thank you for this article. I received a conditional discharge for mischief nearly 10 years ago and unfortunately am still pulled into secondary at any and all US boarders every time I travel. I find it frustrating that I have no criminal record in the country I live in yet am treated like a criminal every time I cross the border. Do you have any advice for how I can prevent this in the future? Can you call my office 1-800-320-2477 for support? I am in a conference this week and it is hard to do that and get to all of my emails and provide the quality/detail response that you need. Thank you. I have more time for a longer answer: Mischief is not normally excludable, regardless of whether summary or indictable. But, some border guards are not familiar at first glance as to what is and is not excludable. This is likely why they pull you into secondary. Chances are good that your offence is ‘summary’. If in Ontario..request that the courts give you a court document stating it is summary–this ONLY makes it easier for border guards to know that you are not inadmissible FASTER. In Alberta, they will not confirm it is summary because in their view technically you were not convicted…and therefore, according to the criminal code, your hybrid offence is deemed indictable unless the crown proceeds summarily. And, since you were not technically convicted, no election has been made. I am working with the Alberta courts to deem conditional discharges as summary in the same manner Ontario does. Regardless, it does not matter if summary or indictable…but providing a court document showing summary just makes it easier. Hi Debbie, your page has been so helpful! This whole process has been very confusing and there seems to be a lot of scams to dodge. I have been working with Pardons and Waivers Canada to erase my record of mischief over $5000. Recently they have begun the discussions of moving forward with a US entry waiver at a whopping $1400 processing fee on their end. I was told (by PWC) that my odds of driving across borders is slim without it. I am wondering if this is true due to the excess of $5000 damages or if this is of course their business to guide me to work with them. Mischief might be a bit tricky (in a good way). You will probably have problems traveling with it. BUT, when you apply for a waiver you MIGHT be able to request a non-inadmissibility letter. Bottom line is the criminal code does not read as if there is malicious intent. Therefore, I believe you have a strong case for receiving a non inadmissibility letter. You may not need a waiver. I went to apply for one. My conditional discharged was purged but I crossed while on it. They told me I don’t need a waiver just bring in tge court documents. They dudn’t even wanna accept my waiver applicafion because they said I have no record, I don’t need one. So I am waiting to get a letter back from homeland saying I do not need a waiver. Correct you don’t need a waiver for mischief. BUT, they want to see your court document to make sure it is just mischief. As for their terminology “no record” they may have said that but they always view a conditional discharge as a conviction even if technically it is not…since according to the criminal code, there has ‘been an admission or finding of guilty” but the courts does not view it “in the best interests of society to convict”. He was minimizing their general view of conditional discharges just to be friendly and to ensure that you’d be so kind as to bring the court document next time. hello i had a question about a domestic violence absolute discharge this would be my first charge that got a discharge but now im wondering do i need anything to travel??? too the usa and other countures? It goes away automatically after 1 year. If common assault section 266 the US will not care about it as it is not an exchangeable offence. See the comment below for getting a background check for “Record Suspension” after 1 year–but note your situation is different. Your offence is NOT excludable but the person below is excludable. I got charged with trafficking but got a conditional discharge! I have not tried to go to the states since and I wont try until my record is purged. I have lots of family who lives over the boarder and I used to go over there all the time. in the past they never asked me about a criminal record or anything, so my question is if they don’t ask can I just keep it to myself? #1: When the 3 years are up…get a digitally fingerprinted for a “Record Suspension” because this search will confirm if the discharge was purged on the left hand side of the report AND whether any withdrawn charges on the right hand side, if any, at the same time were also purged. The RCMP often does not purge withdrawn charges unless you ask them to. IF RCMP fails to purge withdrawn charges then a police file number will stay associated with your name. And this will be problematic for you every time you need to get a background check ie. for employment, licensing, etc. because search will say there is a record but then the record is blank…so it can be confusing. Employers typically can’t see the part of the record that shows withdrawn charges but they’ll see that a police file # has been associated with your name and they will be confused by this. #2: Once properly purged, a search will reveal no record. #3: I can’t counsel misrepresentation. All I am allowed to say is that the US government expects you to tell them about it and to send thousands of dollars over your lifetime to get waivers. We do help with waivers if yo decide to go this route. what are the chances of me being able to cross into the states with out any problems? or what should i do? #1: When the 3 years are up…get a digitally fingerprinted for a “Record Suspension” because this search will confirm if the discharge was properly purged on the left hand side of the report AND whether any withdrawn charges on the right hand side, if any, at the same time were also purged. The RCMP often does not purge withdrawn charges unless you ask them to. IF RCMP fails to purge withdrawn charges then a police file number will stay associated with your name. And this will be problematic for you every time you need to get a background check ie. for employment, licensing, etc. because search will say there is a record but then the record is blank…so it can be confusing. Employers typically can’t see the part of the record that shows withdrawn charges but they’ll see that a police file # has been associated with your name and they will be confused by this. #3: I can’t counsel misrepresentation. All I am allowed to say is that the US government expects you to tell them about your discharge and to spend thousands of dollars over your lifetime to get waivers. We do help with waivers if yo decide to go this route. Please also note that it is difficult to get a waiver for convictions less than 5 years of age. And, as far a the US is concerned, a discharge is equivalent to a conviction. #4. Theft x 2 does make you inadmissible. Hi there… just a quick couple of questions. I plead and was found guilty of a tiny theft charge of $50 from an employer nearly 16yrs ago. I am now 39 and believe at the time was given 1 month probation and then a conditional discharge. (So long ago I had to ask my mom about the details! LOL) My first and only offence. (Stupid and young.) I have always wanted to travel to the US/Disney with my young daughter and get a Cdn. Passport but have been too scared to be denied…and most recently am concerned that a pending new employer background check will bring that all up again. Should I be worried? Will this hurt my chance of traveling or getting a new job? It’s been nearly 16yrs…. thanks a bunch. What province do you live in? The reason is this: (a) Ontario will treat your discharge summarily — meaning you don’t need a waiver; and (b) elsewhere in Canada it could be deemed indictable and you may need a Waiver for legal entry. The first step is to get you fingerprinted to see if anything is even showing up…AND it is vital that if fingerprinted you be fingerprinted for a Record Suspension EVEN IF you don’t need a Record Suspension because ONLY this search will reveal if (a) the discharge was purged properly; and (b) whether any charges were dismissed or withdrawn at the same time. If the conditional discharge was purged properly BUT there are still withdrawn or dismissed charges registered on the national RCMP database, than a police file # will still be associated with your name. I’d recommend you call us at 1-800-320-2477 to discuss further. Hello, if a domestic assault charge is dropped, would that person still be allowed in the US? (Hawaii). I just find it unfair that a husband and wife had a small argument that turned into all this. Hello “noemailnoemail”. The US does not care about domestic assault section 266. If that is all it was…happy travels! Also, if dropped, it likely won’t even show up. Hi, I recieved a letter from the RCMP adivsing me that my request for file destruction has been completed am I now safe to cross the border? I have not been to the U.S. since I recieved my discharge. Now that your record has been destroyed…there is no proof that it exists. The challenge is: if the US ever asks “Have you been arrested, charged, pardoned, etc.” the correct answer is ‘yes’. And, legally, we can not counsel misrepresentation. What was the discharge for? Most discharges (not all) are summary. And, if not drug related, would not likely affect travel to the United States. Hello I was charged with criminal harassment in NB last year. I got conditional discharge. Can I travel to the USA or should I wait 3 years till it purges? The US is not likely concerned with criminal harassment since is it does not necessarily involve an intent to cause injury or harm. Simple solution: get a letter from the court house confirming that your conditional discharge is a summary offence. A quick search of the criminal code shows that this offence carries a max sentence of 6 months if tried summarily (but you’d have to search the criminal code dated at the time you were convicted to see if this was the case then to know for sure). There is an exception rule that states that if you have one excludable offence not involving drugs and the max potential sentence does not exceed 1 year and you were not sentenced to 6 months or more in jail states than the US will make an exception, meaning they won’t deny you for that one particular offence. to summarize, get a letter from the court confirming your conditional discharge is summary and you are unlikely to have problems if you travel with it. After 3 years, it goes away. But, look at my previous posts –> at 3 years you must make sure it was purged properly. Hello, I was initially charged with domestic assault in December 2009 (Ontario). I attended a PARS program and upon completion the charges were withdrawn and I have a “keep the peace” bind for 12 months which ended September 17, 2011. The US is not concerned with domestic (common) assault. Further, since charges were withdrawn, nothing is likely to show up in the RCMP database for the U.S. to see. Hi, I live in SK and was given a conditional discharge for theft over $5000. I have ful filled my probation and it’s been almost two years since that was fulfilled. I have not gone to the USA since I receieved my discharge. So what I am understanding is that The RCMP automatically purge the record or do I have to request it to be done? I was under the understanding that I should wait three years once my probation had been met, is this true? And so would I go to my local RCMP to be asked to be finger printed to see if my record has been purged? Do they charge a fee? It is 3 years from the date you were given the conditional discharge….not end of probation. It goes away automatically. To be sure it was purged 100%, request a set of digital fingerprints for purposes of a “Record Suspension”…this is the best search as it reveals (a) left side — the conditional discharge shows up on this side for 3 years and is supposed to go away automatically and (b) right side — if any charges were withdrawn/dismissed…they show up here and do NOT go away automatically…if anything shows up on right side you need to ask arresting police force to notify RCMP to purge this. If everything was purged 100% then a criminal record search for Record Suspension will reveal “no record”. Does this help? hello I was charged with assault 2 years ago,and received probation and conditional discharge. My family is planning a vacation to the United States this year to visit family. Would I be allowed entry into the country. What was the charge for? Hello i have a failure to comply with probation they told me i have bring paperwork. Before i can cross again. Can the denie me too across to cross with that on my record. Even if i prove thats all thats on my record. Im crossing for work im a truck driver. Why were you ordered to go to probation? For example, what were you convicted with that resulted in a probation order? Even if fail to comply is the only thing on your record…does not mean you don’t have other convictions. Possibly, there is a conviction that the courts/police failed to register with RCMP OR you were given a conditional discharge. Since there is a fail to comply…the US border can figure this out pretty quickly. Andy, they will want to know what the probation was for before they decide your admissibility. I lives in Ontario. In Feb 2013 I was charged for domestic assault.In Aug 2013 I got conditional discharge with conditions of 12 months keep Peace & PARS Program.My 12 months probation was ended successfully in Aug 2014.Do still I have to wait 3 years to cross the USA border? The US is not concerned with domestic assault. You do not have to wait 3 years. Happy travels! I was given a conditional discharge for posession of a schedule 2 substance (marijuana) and was tried summarily in Ontario. Would I be able to travel to the US? This is my only offence I was given a sentence for. Other charges were dropped in the same case. Also, would I need to get my record purged through the RCMP after 3 years from my sentencing? #1. After 3 years your conditional discharge is automatically purged. Provided there were no convictions and no withdrawn or dismissed charges, an RCMP criminal record search will reveal no record. It is very important that you can digitally printed for a “Record Suspension” after 3 years as a criminal record background check for this purpose will reveal left side (left side should be blank if the discharge was purged properly) and right side (if the right side has withdrawn/dismissed/stayed charges, you will have to contact the arresting police to have this side purged). A police file # will continue to be associated with your name if there is anything on the left side or right side. If both sides are blank…then the search will come back no record and no police file # associated with your name. #2. The challenge is, for legal entry to the United States, the US government would still want you to disclose the fact that you had a discharge to them and apply for a waiver. Waivers are temporary and would have to be regularly renewed. #3. The US Government can access information about the discharge during the 3-year period but not after the 3 year period provided your RCMP record has been properly purged. If they access information about the discharge before the 3 year period, they will keep permanent records on it. If you tell them about it after the 3 year period — they will keep permanent record. If your drug conviction is the result of investigations on both sides of the border…then US and Cnd authorities may have information about the incident leading up to your conviction. #4. Another challenge: we can not counsel misrepresentation. All I can tell you is that they will want you to disclose the discharge and they will want you to spend thousands of dollars over your lifetime for US Waivers. If you decide to go the waiver route, please contact us and we can help. 1-800-320-2744. Hi Debbie, I was given a conditional discharge three days ago, and wish to enter the US from Ontario tomorrow. Should I expect to gain access into the US? Any advising you can provide would be realty appreciated, and I can supply additional information upon your request. Thanks so much. Sorry I am slow to respond to this request. I found your question in spam. What was the discharge for? in 2002 i was charged with simple possession of a small amount of marijuana which i received a conditional discharge for that included a fine, community service, and probation. I have subsequently entered the united states on many occasions, and have on a number of them been asked if i have ever been arrested before, to which i always answered truthfully yes, and what my charge was and was allowed to pass without incident. the last time i crossed i was asked again, to which i again answered truthfully, however i was subjected to a secondary inspection, where i my person and vehicle was searched. upon finding nothing, i was allowed to enter the united states, however i was informed by the cbp guard who dealt with me that the next time i wished to cross i would need to provide a court disposition of any charges against me and if i attempted to cross the border without said document i will be refused. I am in the process of securing this document from the courthouse in the jurisdiction where i was charged in 2002. in light of this, my real question is that upon providing this document will i likely be deemed inadmissible? is providing this document essentially just me providing them information that they are not otherwise privy to that will most likely result in my refusal and inadmissibility? Yes…you will need a waiver. The criminal code states that for a conditional discharge there has been a finding or admission of guilty…but determined not to be in society’s best interest to convict. Shows up on your record for 3 years then goes away automatically. The US will require you to get a waiver. We can help you with this…you can call and speak to me (Debbie) or Jacqueline 1-800-320-2477. They always given the impression you’ll be okay when you cooperate. The challenge is you are flagged…and there computers will note that you have been asked for the paperwork. Hello Debbie, thanks for the article. I am a 22yr old college student pursuing a goal of becoming a police officer. However, as I am getting close to applying for the job, I am in devastation knowing that I have committed a crime before and that I will eventually never make it. I have been charged with theft under 5000 in 2010 when I made a wrong choice. I was conditionally discharged and had to do my 15 hrs of community service and write essay on impact of having a criminal record. All of my requirements were met soon after and I remember talking to my probation officer telling me that I will not have a criminal record. It was my first time offence. Now in 2015, i do not know if my record has been purged or not and do not know if police will find out when I apply. Also whether i have to answer yes if they ask if i have committed a crime before. Nor I try to cross the border because i am afraid i will be confronted and/or have my vehicle taken away from me. Although i had no problem with background check and security screening when I join the military back in 2012 and still serving, i am uncomfortable to know I may not be a police officer. will I ever make it? You will have to disclose it and it could affect your application. HOWEVER, I would argue that this incident could make you a better police officer. Lets take an undercover officer in the drug field as an example. I don’t know how an undercover officer could ever be good at what they do if they never smoked pot or if they did not smoke while under cover! Otherwise, they’d never have any credibility while undercover–and they’d put themselves at even higher risk of being killed. You need to take the approach that this will make you a better police officer. Also, for the record, I had a client who stole a winter coat while in University and he was convicted. Following University I did help him with a Pardon and since that time he did become an RCMP officer. So, use this conditional discharge as an opportunity for growth. Don’t let your past weaken you…learn from it and embrace the idea that it made you a stronger and more sympathetic person. I’m a big believer in forgiveness. And, I don’t think that one act like this defines a person when they’ve done so many other great things. I think becoming a police officer is a very noble and unselfish thing to do. The fact that you want to become a police officer speaks well of your character. Good luck to you! If you make it…send me a quick email letting me know. Charged with DUI in Manitoba 2013 being purged January 2016. Can I enter the states? Yes, the US does not care about DUI…unless it is suggestive of a medical condition…ie. alcoholism. In this case, they can deny you for medical reasons. Therefore, if you show up looking healthy…they are unlikely to be concerned with your DUI. HI Debbie my husband when he was 18 was charged with possession of stolen property under $200 and was given a conditional discharge, He is 49 now and we use to go to the nascar race in michigan every year and then one day was told he could no longer cross. So he did get a letter from The RCMP saying he had no criminal record, and it was going to be expunged back in 2006 and when we went back to the border they accepted it, then a year later they said it wasnt good enough that he needed to get a court document proving there was no criminal record.My husband was upset and said he would never go back. Well it has been 6 or 7 years now and He did ask our court for the proof and they sent him a court letter stating they did their search and there is no case against him and that it has been destroyed. Now will he be able to cross the US border. Which province did he go to court in? Great…in Ontario if it was a conditional discharge they will often write you a letter confirming it would have been a summary offence. The US will allow your husband to enter the US without a Waiver if he has only the one conditional discharge that you described below and it was tried summarily. Ask the courts to write a letter confirming the nature of the offence, there is only one count, it was tried summarily. Its ok if they can’t find the file…they just need to write a letter confirming this and I’m hoping their computers will at least tell them this info. Hi yes it does say offence is summary, should he take the RCMP paperwork with this court letter? There consequences happen to my p r situation in canada ? I’m not sure…you’d have to talk to an immigration consultant to know for sure. Technically, only they and lawyers can give advice on immigration matters–and I am neither. One thing I can say about a conditional discharge is that there has been an admission or finding of guilt…so it appears it may still constitute an offence as described in 36(3). (c) since you were given a conditional discharge and not actually convicted…often no election is made to try the offence summary or indictable…so by default it would be treated as an indictable offence by the courts. HOWEVER, it is my experience that Ontario courts always treat conditional discharges as summary (but say in Alberta–they’d treat it as an indictable offence!!! — I’m trying to change this). This might not matter if (b) above is still the procedure for CIC. (d) I don’t think common assault when tried by indictable and carries a max sentence of 5 year meets the serious criminality definition…so I believe (????) you are ok.
Again, review this with an immigration consultant or lawyer as Canadian Immigration laws have changed a lot lately. I’m not sue if the rules re: conditional PR affect things either. Anyway, print this blog and bring it with you to your lawyer or immigration consultant. Let me know what you find out…I’d really like to know! Hi Farid. There are two issues here: (a) Will your conditional discharge affect your ability to stay in Canada since you are only a permanent resident. Answer: Chances are you are OK. If CIC had an issue with your conditional discharge…they probably would have asked you to leave around the time that the conditional discharge occurred. Normally, only serious criminality will force a permanent resident to lose their status in Canada and have to leave. The links below discuss inadmissibility for permanent residents in Canada. (b) the 2nd issue is whether you can travel to the U.S. with your conditional discharge from common assault sec 266. The answer is: you are ok to travel (provided you have the appropriate visa waiver). The U.S. is not concerned with common assault charges. NOTE: Canadians travelling to the US do not need a visitor visa to go to the U.S. But, most permanent residents do. If you wish to travel to the US you can apply for the appropriate visa on the US Consulate website. Thank you. I received a conditional discharge for one assault with a weapon (my car keys) in May 2013. I completed one year’s probation in May 2014. Can I successfully enter the US from Canada at the present time? You will probably be OK BUT I would suggest you wait until 3 years have past and your discharge purged. Reason? Keys can’t necessarily cause ‘serious injury or harm”…or at least I suspect you just happened to have them in your hand when the assault occurred and that serious injury or harm was not intended. It can be very complicated for you to communicate this with a border guard and you could have problems entering. So, I would wait until your discharge is purged so that your record does not show up. The challenge is … I can’t counsel ‘misrepresentation’…meaning if they ask you “have you every been arrested, fingerprinted, etc.” they expect you to tell them the truth…in which case, you could have problems. If denied…you could apply (we can help) for a waiver and would could help make a case that though a ‘weapon’ was involved, you did not intend serious injury or harm (which I am assuming is the case…but you’d have to verify it). Scenario: Person traveling from CAN to US and was pulled aside for questioning/additiomal screening for pending charges for possession of cocaine. Was allowed entry to the US. Individual was given a conditional discharge for possession of cocaine. 3 Yrs have expired and the record has been purged. The individual did not attempt to travel across the border to the US during the 3 yr period. Question: will the US government have a record on file of the individual being questioned/additionally screened for this offense even though it happened prior to him/her being convicted? The US will probably have record of it…they love to keep track of stuff like that. That means they will most likely want documentation re: outcome as they are very knowledgeable about ‘conditional discharges’…in which case they will likely make your friend get a waiver. We can help with a waiver if he/she decides to pursue it. 1-800-320-2477. Hi Debbie, I was charged with Fraud under $5000 and now I am on Conditional discharge with no conviction with one year of probation which will end on April 1st, 2016. I am Temporary foreign worker and on Open Work Permit. I am applying for Immigration for Permanent Residency purpose through Express entry Program. I wanted to know whether my Conditional discharge will affect my immigration? Will my immigration officer know about my conditional discharge? Will my file be rejected due to this? I have heard that immigration is not concerned with the discharge but I am really worried about it. I want to get residency in Canada, I have permanent full time skilled job. If you were given the conditional discharge on April 1, 2015…it will go away automatically after 3 years. It may affect your immigration because, if you read the criminal code regarding conditional discharge “there was an admission or finding of guilt”…but not contrary to best interest of society to convict. You will need to talk to your immigration consultant about your options. Do you have an immigration consultant helping you? What province are you in? I’m wondering if I’m able to travel to the U.S. I was recently finger printed and received “a notice issued by a peace officer to a person not yet charged with an offence”. I am scheduled to appear before a justice at provincial courts in August. The offence is Mischief Under $5000. Once I’m charged will this affect my ability to travel to the U.S.? Is there anything I can do? Fraud under? What province? If Ontario (hopefully) they will give you a letter stating it is a summary offence. Once summary offence for fraud will not make you inadmissible to the United States. BUT you need a document in writing from the courts confirming it is summary and you need to carry it with you when traveling to the United States. If you have a hard time getting this document, call me 1-800-320-2477. After 3 years it should be properly purged (you need to be electronically fingerprinted and fingerprinted ‘for a record suspension’…see previous comments as to why…to ensure that it is properly purged. It was in Alberta and as far asi know my lawyer told me it was being tried summilary. Do I still need to get a letter from the courts to make sure. You have to get a letter from the court house verifying it is summary and carry it with you to prove that fact. After a verbal argument occured, I was charged with assault with a weapon 267a, it was thankfully turned over to the ontario adult therautic court and was diverted. This was a first time event in my life. I am grateful, but scared for my future. I feel like this one and only bad event with the law is going to follow me for the rest of my life. Before this I travelled often. Am I able to cross the border? Should I wait a year until my file can be destroyed and its not in cpic? Am I going to need a waiver? At all or for the rest of my life?? I am really freaking out….travel is/was such a huge part of my life and I loved opening my little girls eyes up to new experiences…All I want to do is vacation with my 6 year old and am fearful ive screwed up the future. It was a first offence and was diverted and stayed…so what exactly does this mean? Or because it was assault with a weapon is it more serious then 266 assault? (I realize how serious it really is, but i dont get if there is a difference to them…(the weapon was not a knife or gun – i threw a pack of cigs at my husband) at the time I wasnt aware they call something like that a weapon. As stay is not a conviction. You need to make 100% sure everything is purged off of cpic after 1-year. The best way to do this is record electronic fingerprinting for “record suspension”. I know that you do NOT need a record supsension…but this is the only search that will reveal (a) convictions on left side or discharges for 3 years on left side; and (b) withdrawn/dismissed/stayed charges on right side. The US can only see left side. You want to make sure that ALL entries on right side are properly purged after 1 year AND make sure there are no surprises on left side. Get this search done and if anything appears after 1 year call and I will walk you through the process of getting it fixed. 1-800-320-2477. It is just as much work for you to hire an agency to request purge services as it is to walk into the police department and make the request so this is not something I’ve every charged for. Hope this helps! I should also note, I am 38, and as stated above it was my first encounter ever with the law. I realize how lucky I am because of the mental health diversion (and the support it has given me not to mention resources) I will not have a criminal record but I am confused, because I know what a serious charge this is,it is not something i take lightly even though it has gone away so to speak. I am sleepless and worried about this label following me. I know it was a mistake i just pray it doesnt affect the rest of my life. Am i right that it dissapears after a year? File destruction, i think it called. Is it a common assault according to the us? Or does the weapon part put it into a new category? Hi. I received a conditional discharge in July 2009 for fraud under $5000. I completed all my conditions and now I’m supposed to travel to the US next week. I’m unsure if my record has been purged or not and I’m not sure if there’s enough time for me to get a records check. I would like to know what are the chances that I will get flagged when crossing the border and if I do get flagged if I’m qualified for and/or able to apply for the one-offence exemption on the spot if I have my court papers/records with me. I live in Ontario. Chances are favorable that it was purged UNLESS charges were withdrawn or dismissed at the same time. Discharges purge automatically but withdrawn/dismissed charges are not. Did you make it in? Please call 1-800-320-2477 for your free consultation. You really need to call us. Conditional discharges are very confusion for many people and it would be easier for me to explain the process by telephone. 1-800-320-2477. The challenge is (a) conditional discharges are purged after 3 years…but charges withdrawn/dismissed that MIGHT have occurred at same time are not purged; (b) if fully purged…what do you say to the U.S.? This question is complicated and many people will give you different answers. Please call 1-800-320-2477 so that we can discuss. What happens if a “assault with a weapon” charge is stayed? This was a first time occurance, not even a parking ticket. The charge was diverted to adult theraputic court and the charge was not proceeded with. It is stayed for 1 year. according to the crown goes away after 1 year and you do not have a criminal record. It is supposed to be purged from the rcmp/cpic database after the year. I understand to get the criminal check to see what shows up to see if it was actually purged. If it doesnt show after the year should you be fine crossing the border? In general Should you wait the full year and not try to cross before bc it will show as stayed? Since it is a serious charge will there be issues travelling?? Will a waiver be needed in the future due to the seriousness of the actual charge laid?? I travelled often before this mess and feel like my life is ruined. If the charge was stayed in april 2015, technically it should be removed from the cpic by may 2016. Should i wait the full time before crossing or because it was diverted, stayed and do not have a record can i go over with my family? Im not sure…from what i gather its a stayed charge…totally different from discharge. Its on hold for a year…charges can be brought back but after the 12 months they are gone, not rrom local police but just cpic…. I would 100% not go to the U.S. until 1 year has passed AND you’ve had electronic fingerprinting done to make sure it has been properly purged. Comment #1: after 1 year, request electronic fingerprints for “record suspension”. I know you do NOT need a record suspension but this type of search shows charges/convictions on left side which you have NONE and it shows withdrawn, dismissed & stayed charges on right side. You need to make sure all entries on right side have been purged properly. The US can only see left side. So, if left side is blank AND there are entries on right side there will be a police file associated with your name. They will see a file # associated with the name but the won’t have a clue why. Comment #2: if anything remains on the right side, you need to follow up with arresting police force to ensure that it is purged. 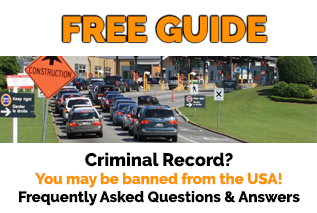 Comment #3: since no conviction resulted, you do not want this to become part of US records–since it could hold you up for hours at border and result in refusal even though it should not since it did not result in a conviction. So, ensure it is 100% purged before going to the US and it will save you and border guards a lot of grief. Actually, it will save inexperienced border guards a lot of grief from having to research inadmissibility. Hope this helps. Hi Debbie, I read every post on here and it is amazing to see someone answering all questions with passion ans sincerity what a fabulous woman you are. My question is, I have a spent conditional discharge (we call it spent in the UK by the way and not purge) where I was charged by the police on assault by beating but no injuries. The court found the defendant’s story more credible than mine and hence received 18 month conditional discharge. I have asked about 3 lawyers in the UK who have said that I do not need to declare in the UK (this is because if basic check is carried out, it would not appear however if a deeper check is carried out it will show up). I intend to fly to the US and I was wondering if I should declare at the embassy when I go for my visa or what should I do? We have what you call “common assault” in Canada. No injury–more specifically, no intent to cause serious injury/bodily harm or death. The U.S. is NOT concerned with these types of assaults. They believe in the right to defend yourself AND they are only concerned with assaults with the element of intent. It does not appear you have intent. So, I have 2 answers for you…it does not sound like your assault will even show up. Have you had a background check done to make sure it no longer shows up? Your UK lawyers are advising you not to disclose. I can’t give legal advice. But, if you did chose to disclose it is not likely to be of concern to the U.S. anyway. Meaning, they are not likely to deny you entry. Hi Debbie, I got offered a job that requires me to travel from Alberta, Canada to the USA worth a commercial vehicle. 19 years ago I got charged with mischief, I broke a window. Anyhow can I cross the border? Mischief a you have described is not excludable…and you should have no problems traveling with it. Without getting into too much detail…get your court document proving it is summary. Again…regardless of whether it is summary or indictable you should have no problems. But, to help the border guard out…bring court document showing it is summary then he/she would know for sure. If they don’t know for sure they have to investigate it…which takes time. An investigation will show that since it as not in relation to an excludeable offence such at theft/violence or drugs…he/she will see that it is not excludable. Regardless…just carry the court document (make sure it is summary) and this will simply save the guard time if they don’t have a lot if experience with inadmissibility. Would you like a Record Suspension? please call 1-800-320-2477. The US expects you to disclose discharges and convictions. Good news is common assault is not excludable. You can simply carry court document and you should not have problems traveling. Hey Debbie, I got charged in 2013 for Trafficking and possession. I have been denied entry to the US in 2009 for no reason. Would I need a wavier or after 3 years I could cross the border? I have traveled to the states after being denied but had no charged then. I got the conditional discharge April 13,2013. Would I have to wait until April 13,2016 until I can cross the border again? Technically purged after 3 years and no longer accessible, but US still expect you to disclose it and apply for a waiver. Why do you think you were denied in 2009? No return ticket? Not enough money on you? There were not convinced your stay was only temporary? I used to live in the USA but had to return to UK as my Mother was ill at the time. they deported me as I was out of status and now require a parole letter should I ever return. Many years later now divorced to my ex American Wife. and I got married to Canadian Lady. I am now living in Canada I have my Permanent resident Permit. Question do I still need Parole letter to travel to USA as I have no intention in living in USA. Me & my Wife would just like to go on holiday together say one a year. And I have a 20 year old spent conviction conditional discharge for indecent exposure in UK I was seen urinating on a tree . Do I still need to declare this offence? Am I inadmissible to visit USA, because of my 20 year old spent conditional discharge? Get excerpt from UK criminal code showing max potential penalty is less than 6 months in jail. If you have proof of this…then it is unlikely you’d have problems going to the US. You might not need this but it makes it easier. Reason you might not need it is that your offence was not towards another person–so on that basis alone, I don’t think it is excludable. But, get the UK criminal code exerpt like I indicpated…and it will make travel easier.